Day 1: Al Blanchard (we call him, Big Al) takes the victory in the M55 category on Sat , Craig 22nd . Roger 1st in 35+. Kevin Horan also took 10th in the 45+ race on Sat in a very competitive field . 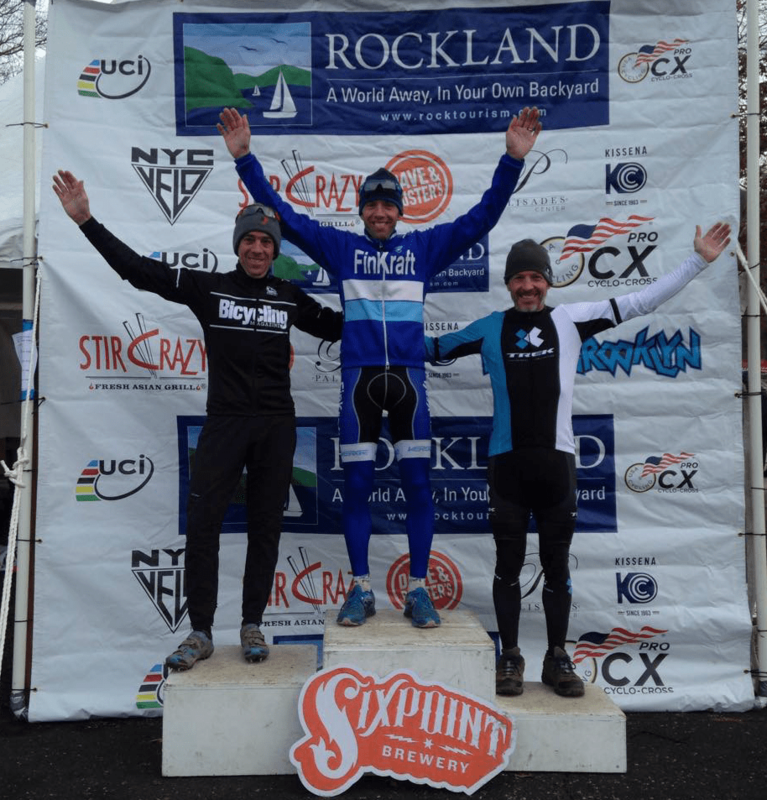 Congrats to everybody on the FinKraft Cycling Team racing this passed weekend in the Super Cross Cup in Stony Point, NY with Frankie Andreu commentating on our races , awesome weekend , cross is boss ! Day 2: Roger 1st in the 35+ , Al 3rd in the 55+ , Craig 19th.